When I was a child, I was unaware of what a master storyteller Ronnie Corbett was. I just saw a small man dwarfed by a huge chair, who seemed overly fond of golfing jumpers and shaggy dog tales. But when I was researching an article on hypnotic presentations for The Guardian, I started to see him in a new light. I realised that he wasn’t simply indulging in meandering monologues. Contrary to appearance, every story was tightly structured, unfurling as precisely and beautifully as a tree fern frond. He then admits he wasn’t in Las Vegas at all. He was outside Las Vegas. In fact, he was in Islington. And then he’s off. His tale meanders on a journey via his wife’s foray into romantic fiction, various medical complaints and a tailback by the gooseberry crumble in the BBC self-service canteen. Next Corbett leads us into another story about being booed in hospital by a tough crowd of junior doctors. Eventually, four minutes into the five minute slot, he delivers the much-promised joke, saying, “We return at last to the story of these two chaps who go to the cinema to see a John Wayne film.” The joke is nowhere near as funny as the stories he’s already related, but the audience bursts out laughing, probably through relief that he’s come to a conclusion. This technique of nesting stories is perfect for presentations. Try it yourself by alluding at the start of your talk to a fascinating story, an intriguing statistic or a discovery relevant to your audience. Borrow a few of Corbett’s ‘ramble alert’ catchphrases. Then finally share the story, stat or discovery with your audience to signal the end of your presentation. Let me know how it goes. 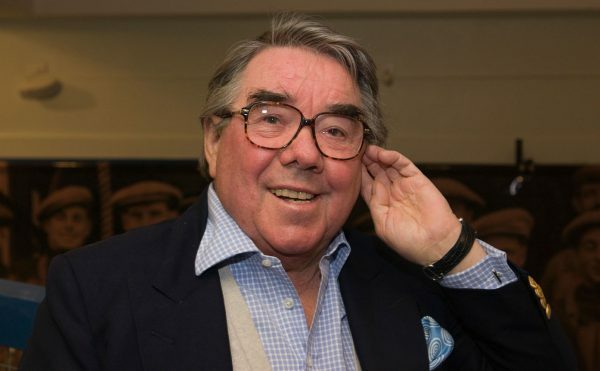 RIP Ronnie Corbett. Terrible jumpers, brilliant storytelling. He’ll be missed.